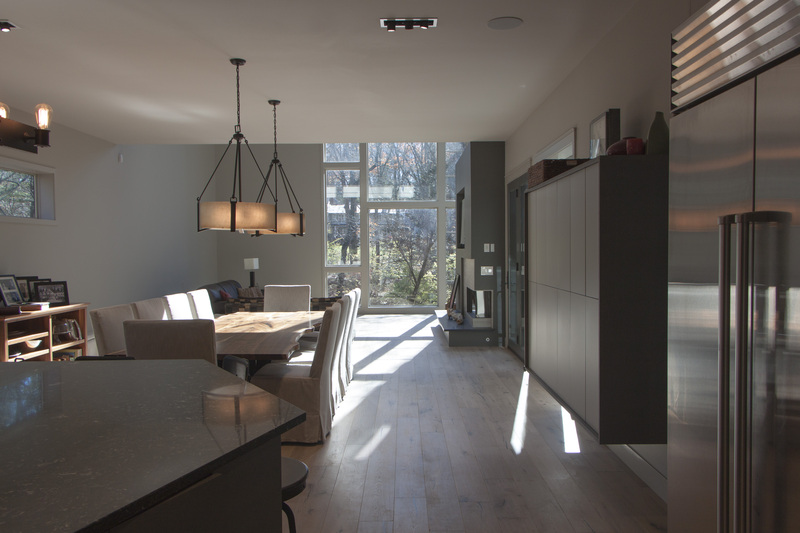 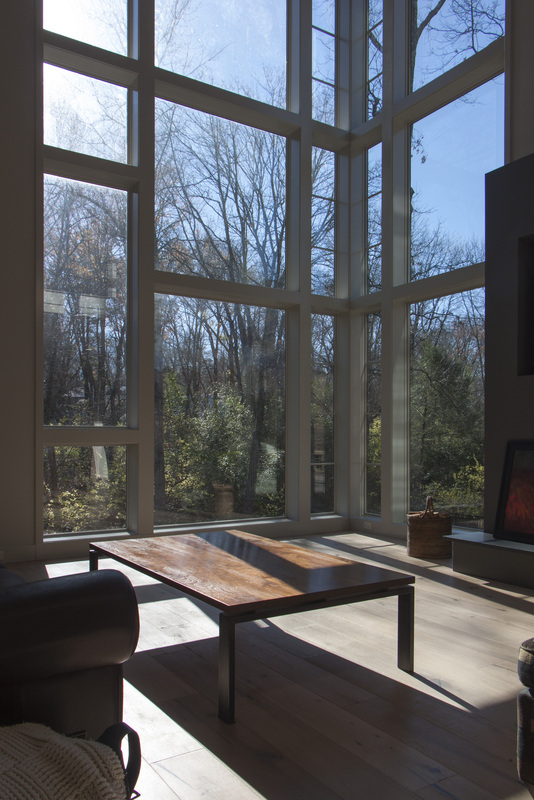 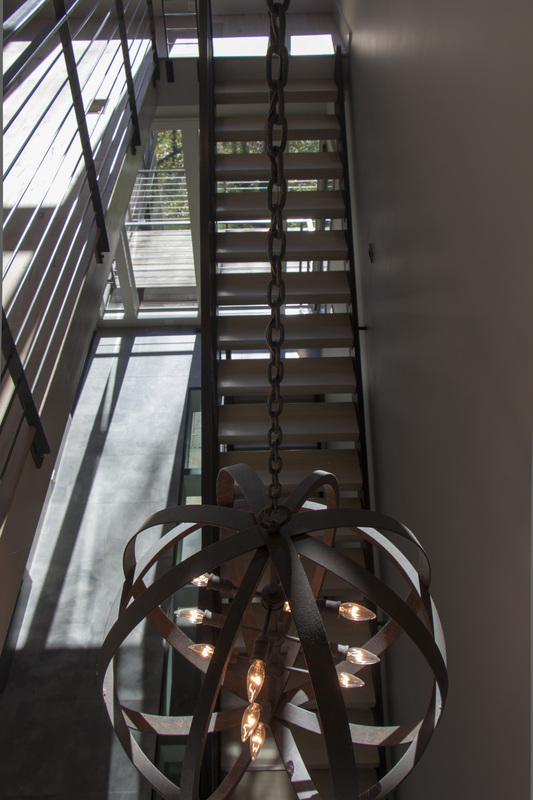 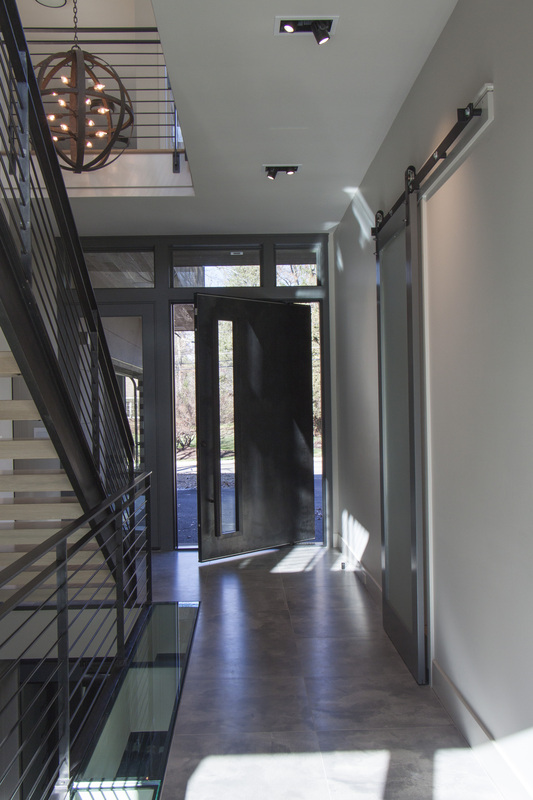 This new house is sited in an established Princeton neighborhood of mixed architectural styles. 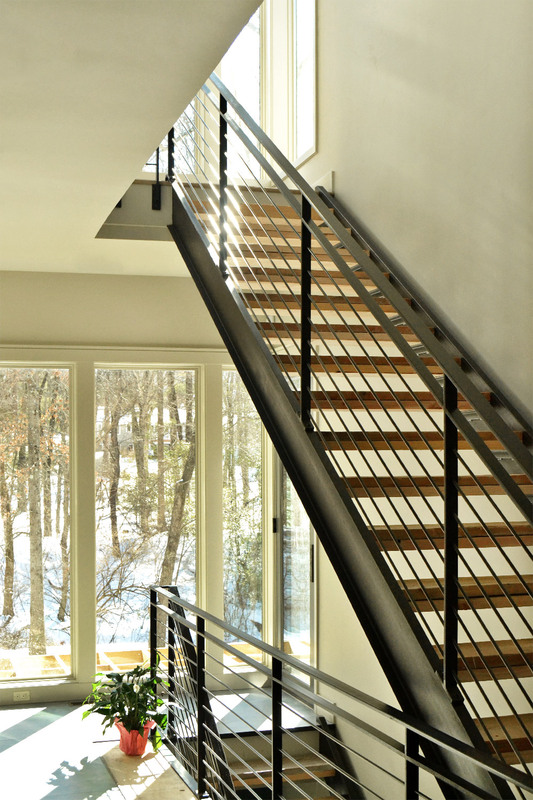 In plan, a glazed stair tower bisects two simple rectangular forms. 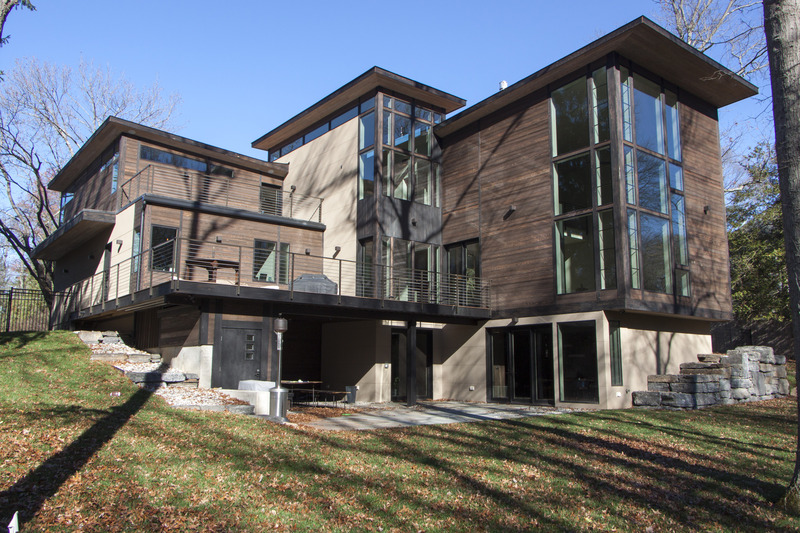 The street façade has relatively few windows in order to provide privacy, while the rear of the house has large windows and decks overlooking the wooded yard. 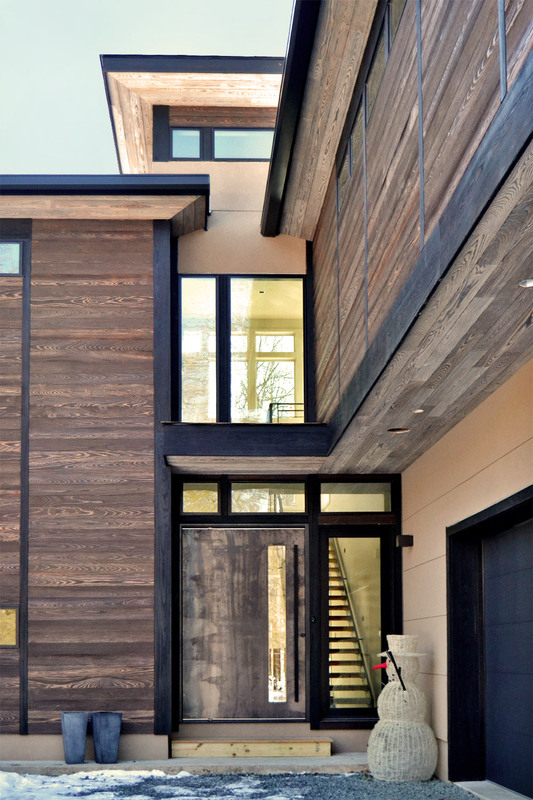 The exterior is faced in shou-sugi ban, a charred cypress that does not require any maintenance or finish.